Performance just got personal. Introducing the first bat with interchangeable end caps for complete control over swing weight and feel. Players who wanted multiple bat weights and swing weights in their arsenal had to purchase several bats. D-LAB’s goal? Create a bat with interchangeable parts to give players more control over their bat’s weight and feel. Then, verify that these parts could be changed out easily and stay safely secured during hitting WITHOUT affecting the bat’s sound or feel. And finally, get this unique, innovative new bat approved by ASA and USSSA. The D-LAB team started brainstorming and 3D-printing prototypes of interchangeable end caps. Once an end cap was printed, we’d take it to the cage for players to test the ease of use and performance. Feedback from the hitters was collected and the process repeated with different iterations of 3D printed end caps until we were satisfied. While other companies send one prototype back and forth to an overseas manufacturer, the D-LAB team only has to head down the road—creating injection-molded prototypes at a rate of 12 to 1 when compared to our competitors. That means that by the time the other guys have playtested one prototype, we’re already 12 iterations closer to perfect. Once the play-testers signed off on the parts and the bat performance, intense durability and safety testing was conducted. Because the ASA and USSSA had never seen a bat with interchangeable parts, we needed to create a bulletproof fastening system to keep the end caps secure. This led to the spring-loaded captive screw secondary locking mechanism and bayonet mount found on every fastening cap, as well as a custom tool to change the end caps The VIZION was ready for action. The two main metrics for this technology are Center of Mass (COM) and Moment of Inertia (MOI). The COM of the bat represents the distribution of knob and end cap weight: the lower the number, the more balanced and controllable the bat will feel. The MOI is indicative of the degree of end load and how the bat weight feels while swinging. 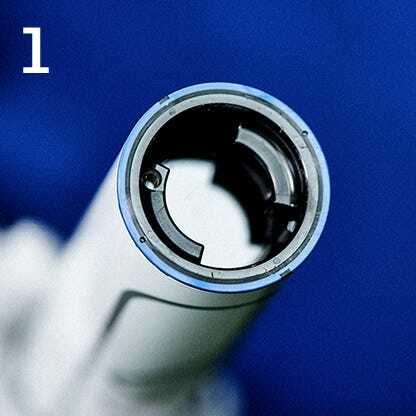 A bat with a larger MOI has more end load and typically results in more impact momentum. In general, the optimal bat should be the configuration with the highest MOI that can still be swung with control. The Adjustable on Demand Technology (AOD) in this bat gives players the ability to interchange end caps with variable weights—allowing for fully-customizable distributions of bat-weight. 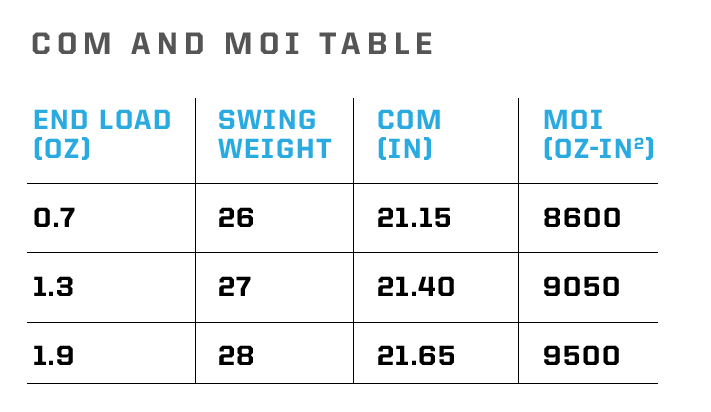 The result is a bat with a swing weight and feel that can be optimized for each individual player. If that’s not a direct fulfillment of Ray DeMarini’s dream to help players maximize their performance, we don’t know what is. 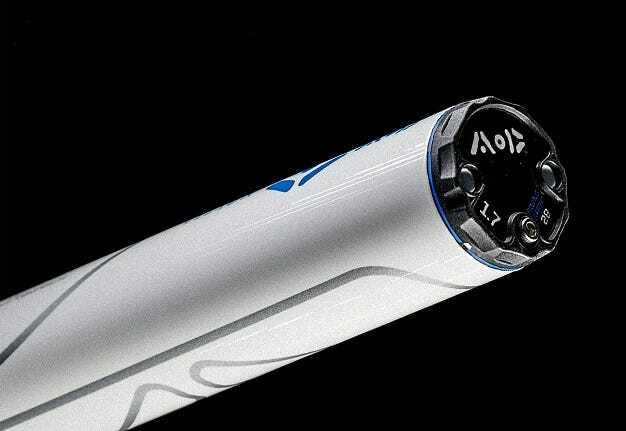 AOD (Adjustable On Demand) Technology in this bat gives players the ability to interchange end caps with variable weights, allowing for fully-customizable bat-weight distributions. The components of our innovative 3Fusion System are designed to work together to bring you the pinnacle of performance, from knob to end cap. The 3Fusion Handle is made with a new streamlined design for ultimate feel, while reducing vibration and redirecting energy back into the barrel. Performance just got personal. Adjustable On Demand technology incorporates two interchangeable end caps to give you total control over the swing weight and feel of the 2018 VIZION Slowpitch bat. Add that game-changing tech to an already-powerful 12” barrel and D-Fusion 2.0 Handle, and there’s no doubt why the VIZION is ready to break out of the D-LAB. When every cut you take is finely-tuned for your swing, you’ll be unstoppable.